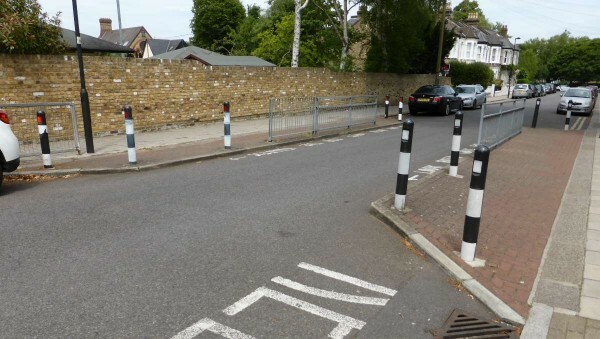 How should you drive in areas with traffic-calming measures? 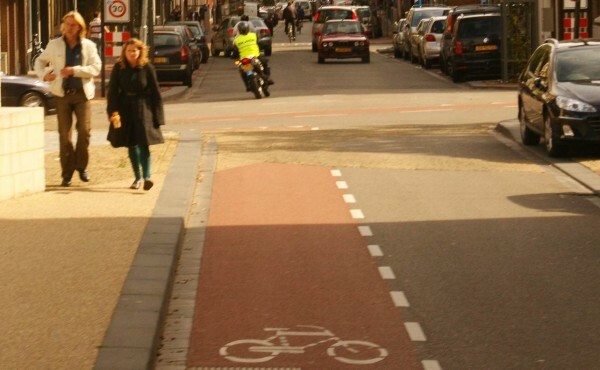 How should you drive in areas with traffic-calming measures? 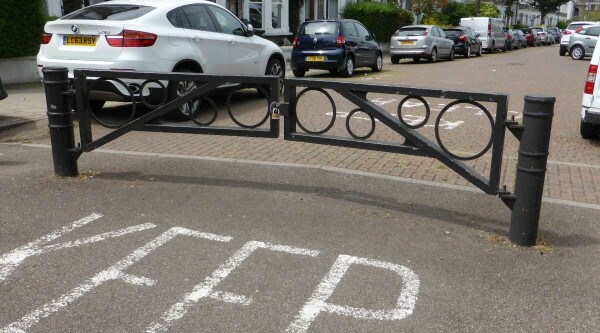 What are traffic calming measures? Traffic calming is where traffic is encouraged to slow down in a specific section of a road. It’s achieved by education, enforcement and engineering. 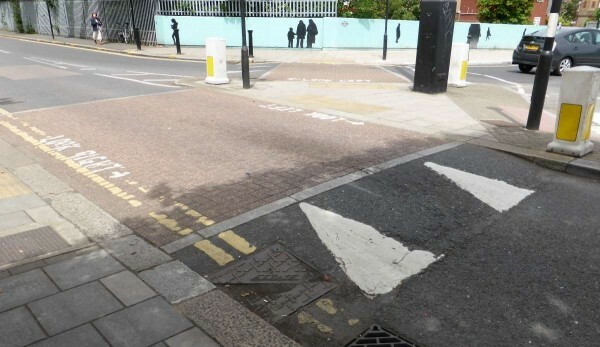 Below you will see multiple examples of traffic calming in use around London. 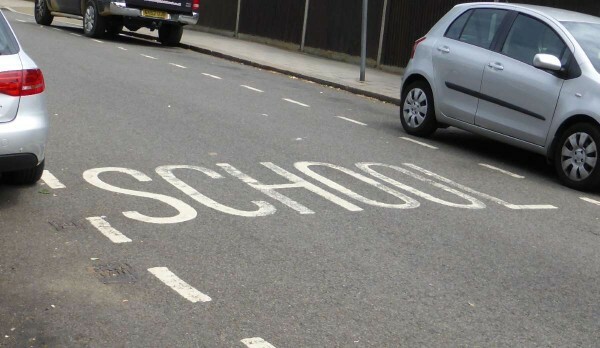 Education mainly consists of signage and road markings. Some signs can be activated by traffic to warn of excessive speed. 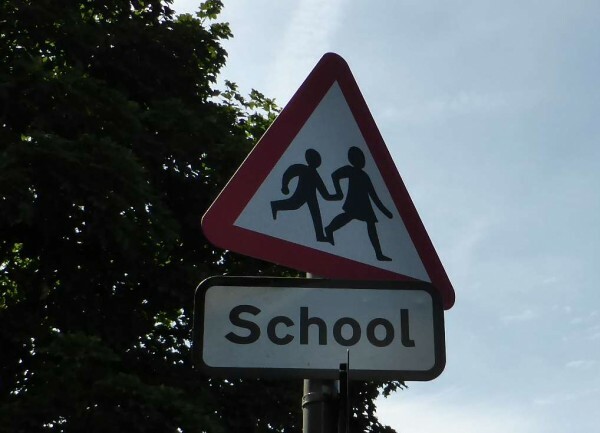 Notification of schools in the area can be painted on the road or signs can be used. Standard triangular warning signs advising of a school can also be augmented with flashing amber warning lights and restricted speed limits. 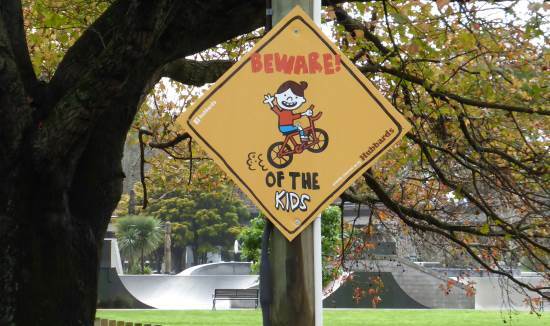 Sometimes residents of a neighbourhood will make a sign. The speed can be painted on the road like this. 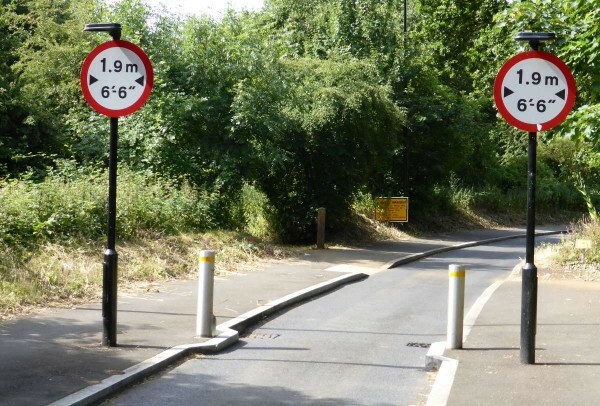 Or speed limits can be signed and accompanied by a painted warning on a different road surface. 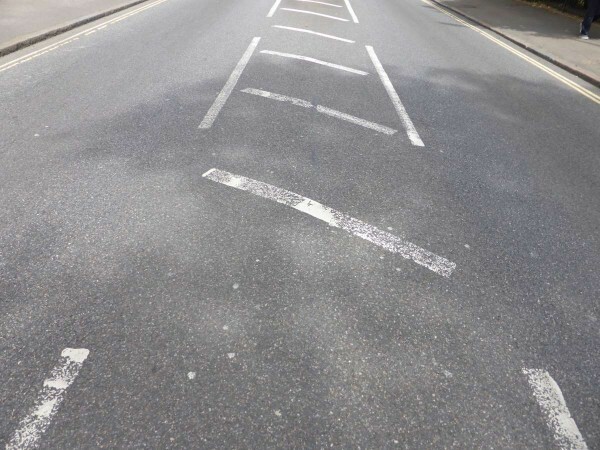 Warnings of potential hazards ahead such as a sharp corner might be accompanied by SLOW painted on the road. Enforcement is the least popular method of traffic calming. It is design to punish those who break the speed limit and is done so through speed cameras and red light cameras. Gates can be used at selected times. Beyond the gate you can see that the road is entirely made of a brick surface. 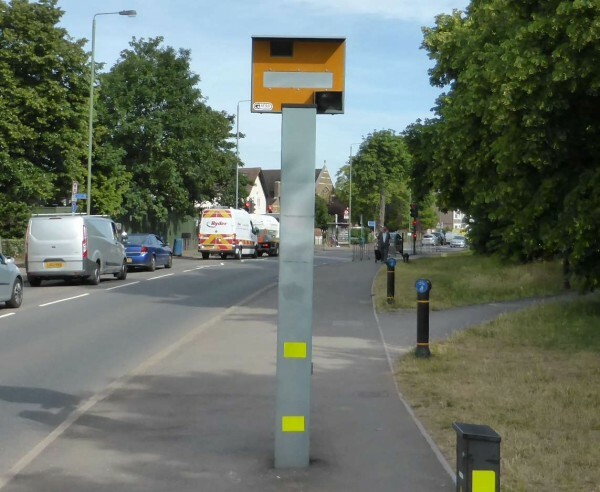 As this creates more noise it makes drivers aware of their speed. A courtesy crossing is not a pedestrian (zebra) crossing, but it is a place where motorists are encouraged to slow down to allow pedestrians to cross. They are always marked with a differing road surface, such as bricks. Narrow road feel less safe to drivers and they tend to drive more slowly on them automatically. 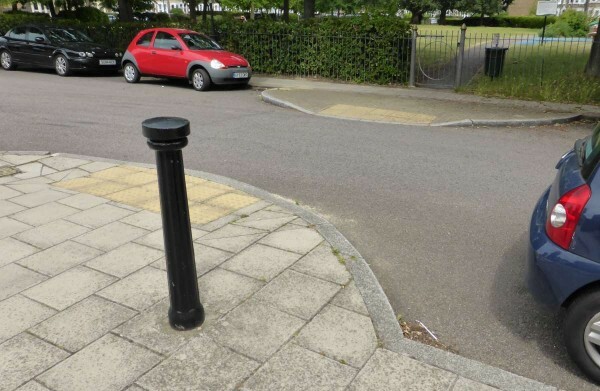 This image shows a small narrowing marked by bollards on an already narrow road. This narrowing is near a park and school. It shows tactile paving where pedestrians will cross. This narrowing is very near a school. 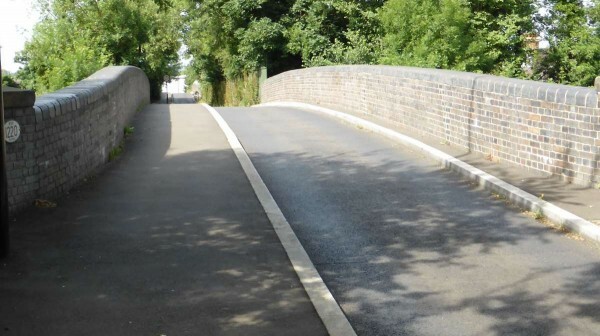 The road on this humpback bridge has been artificially narrowed by placing a wide pavement on one side for pedestrians and cyclists. 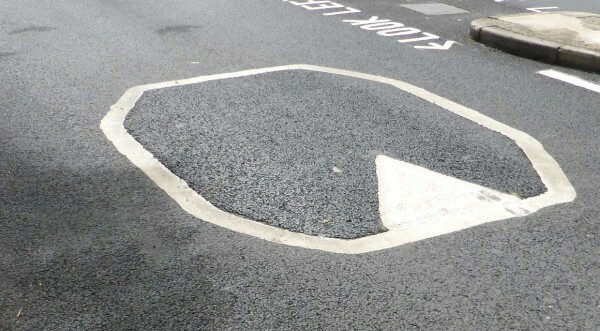 Speed cushions are low-key traffic calming measures. Most cars have a sufficient wheelbase for the wheels to drive either side of the cushion, but they still encourage drivers to slow down. A speed table is an elevated portion of the road. 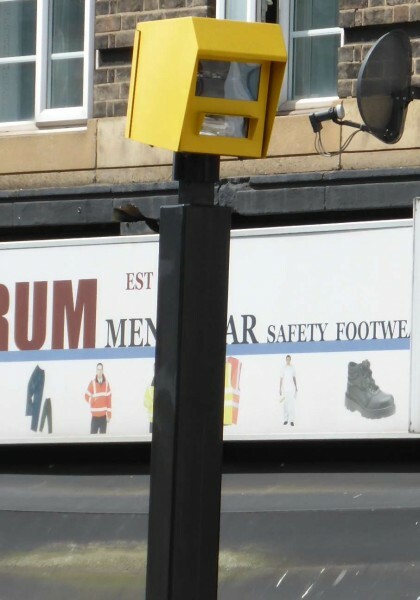 They are often used at pedestrian crossings or on corners with heavy pedestrian traffic, but not heavy enough to warrant a controlled crossing. The surface of the speed table is usually varied from the main road surface by using bricks or other coarser finishes. Note the two white triangles which visibly warn drivers to slow down. Speed bumps like this are often signposted, too.